Gerrie Bremermann Designs – Ms. Bremermann is one of the Grande Dames of New Orleans design and her shop was just filled with exquisite finds both old and new. Her entire staff was lovely, as was she. My Skirted Roundtable co-host Joni listed Ms. Bremermann as one of her Top Ten Interior designers. Read Joni’s excellent profile here. I actually will admit that I wished I had done so before I visited her shop, which is right next door to our tour guide Shaun Smith’s store. Shaun Smith Home – a huge thanks to Shaun for putting together our little tour of his Magazine Street neighborhood and for the tasty luncheon! His own shop is imbued with his fresh, young style and filled with pieces that mix both old and new. Unfortunately, there wasn’t enough time to visit all the shops I’d wanted to. I would have loved to visit Brian Batt’s Hazelnut, Perch and Julie Niell‘s lighting shop and factory. 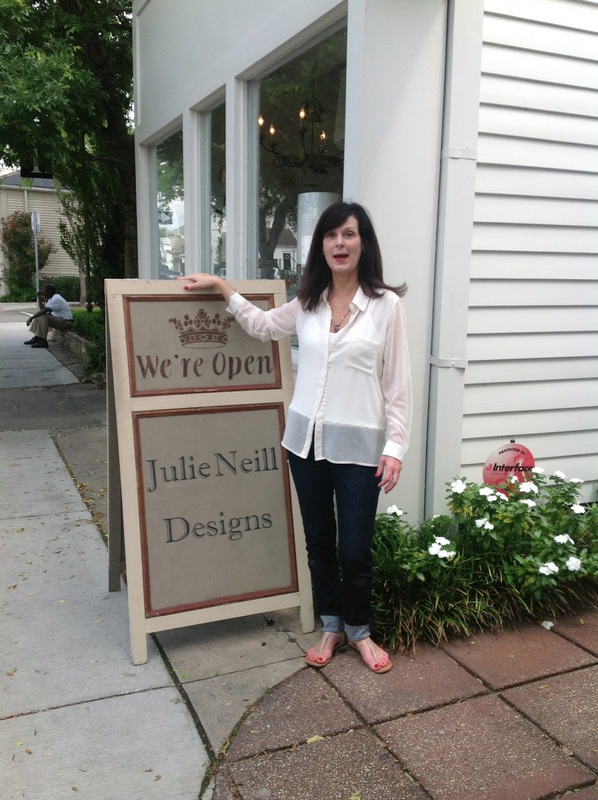 Julie and I had been emailing about me stopping by, but aside from a quick hello on the sidewalk outside her enticing shop, we had a schedule and couldn’t stop in. Some other time, Julie, aka the Bayou Contessa!! So nice to meet you! And I wanted to send a quick hello to the nice lady from Denver who recognized me from The Skirted Roundtable in Shaun’s shop. I’m afraid I forgot to ask your name, but thank you for saying hi! I was plopped down in a chair, sfitzing from the high-80’s heat and humidity, sunburnt and feeling a little bedraggled, so you were a nice pick-me-up! After a quick shower back at the hotel, we headed over to the Odgen Museum for a talk given by Miles Redd about his career and new book The Big Book of Chic. We chatted with Miles at The Skirted Roundtable last fall and this talk included much of what we had spoken with him about. I’ve met or chatted with Miles a few times now and he’s always the epitome of Southern graciousness. Afterwards, we headed over to Chef Susan Spicer’s restaurant Bayona. 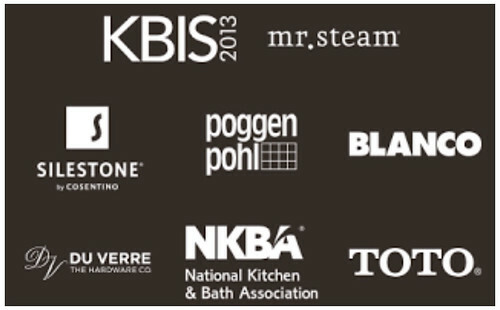 BlogTourSponsor Mr. Steam, or more precisely Mr. Steam VP Martha Orellana (aka Mrs. Steam) was our hostess with the mostest for this wonderful dinner. 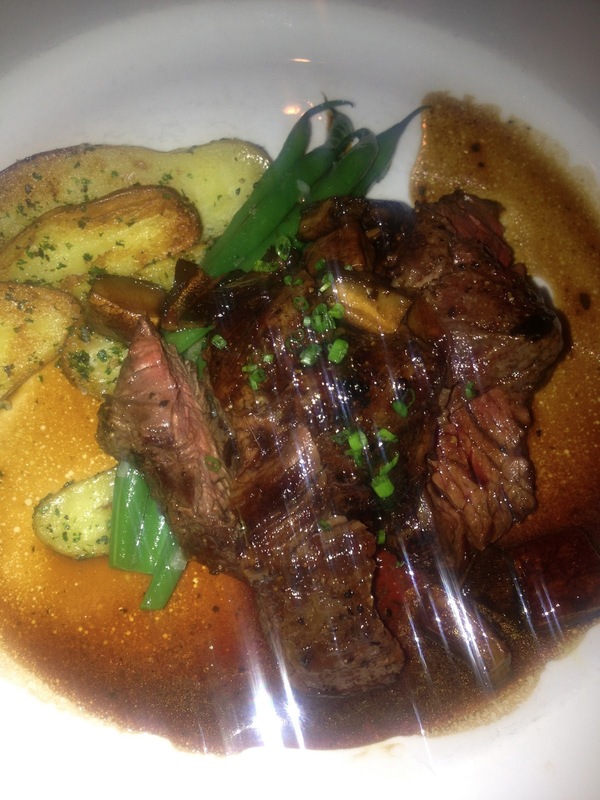 I dined on grilled hanger steak, fingerling potatoes and green beans in an amazing bordelaise sauce. Seriously, plate licking good.